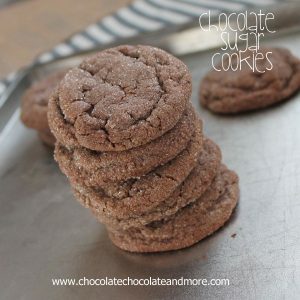 Sugar Cake Cookies - Chocolate Chocolate and More! 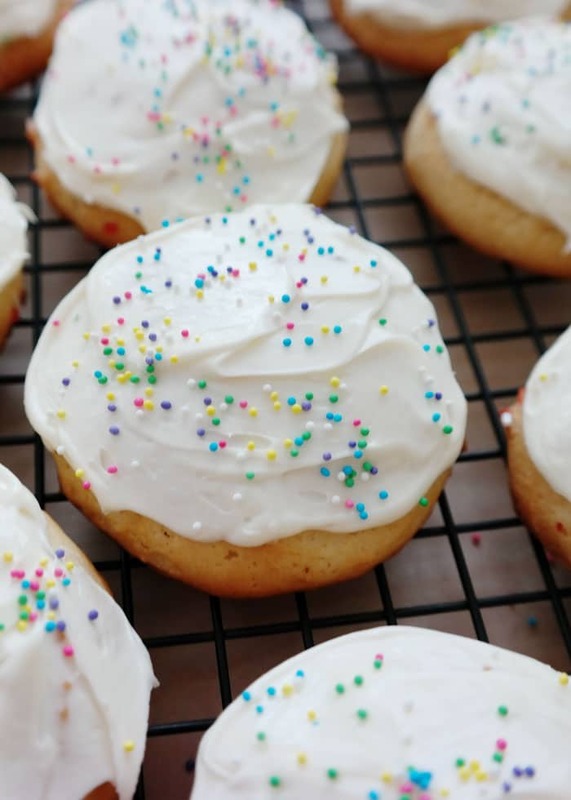 Sugar Cake Cookies-this recipe is everything you love about cake, in a cookie! These cookies are the muffin tops of the cake world. If you ever watched Seinfeld, there was an entire episode dedicated to how the best part of a muffin, is the top. It’s kinda true, although with a muffin, the whole thing is pretty good. After all there is no frosting on a muffin. When it comes to cupcakes, however, The top of the cupcake holds the frosting! I recently was given several recipes that belonged to my Grandmother. Among those recipes was one for Sugar Cakes. Not sure what I was actually making, the directions were vague, I soon realized, yet again, what an amazing woman my Grandma was. 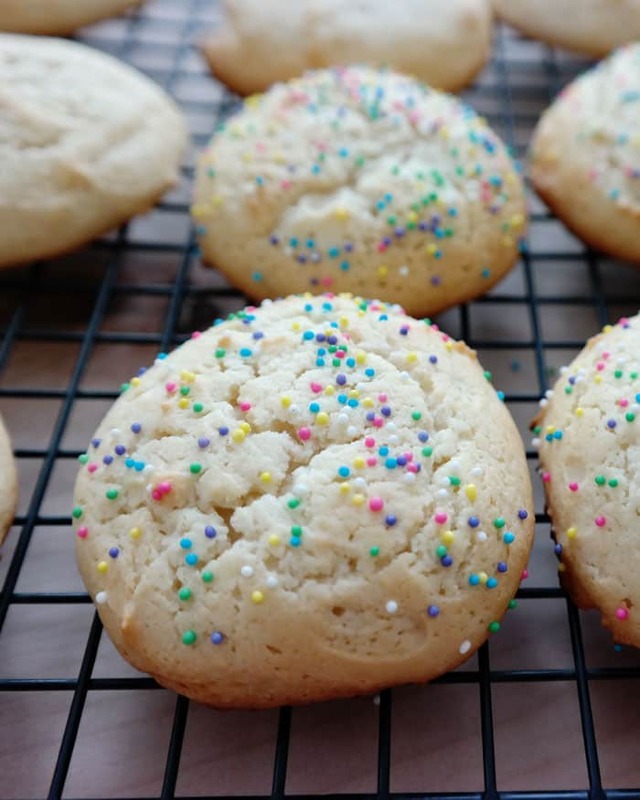 This is a cake batter, baked like a cookie. 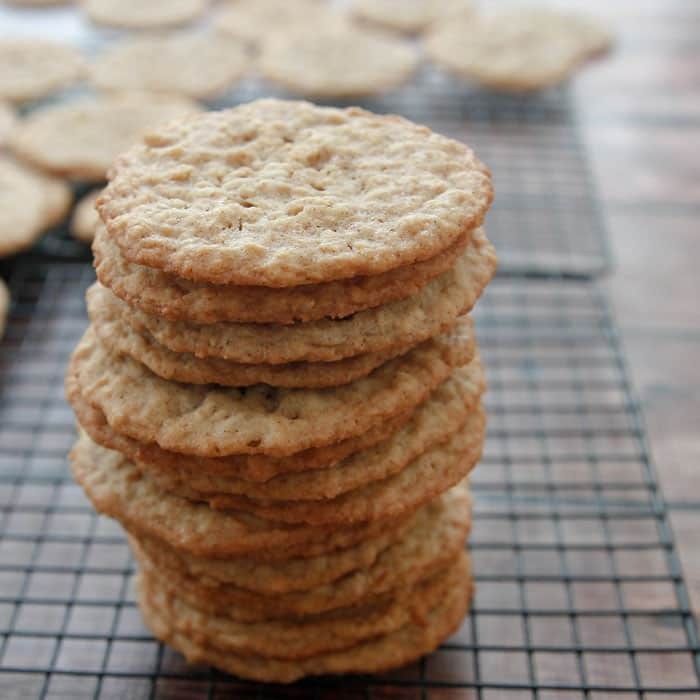 A batter stiff enough to hold it’s shape but soft enough to produce a tender cake…cookie. No muffin tin needed. No pretty cupcake paper liners. No bottom of the cupcake, to eat dry, without frosting. 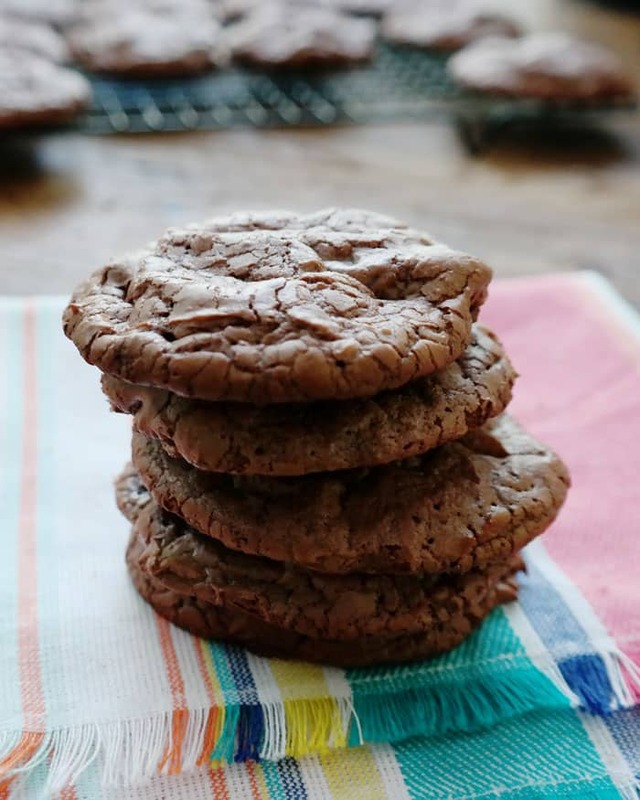 These cookies are perfect for a party. 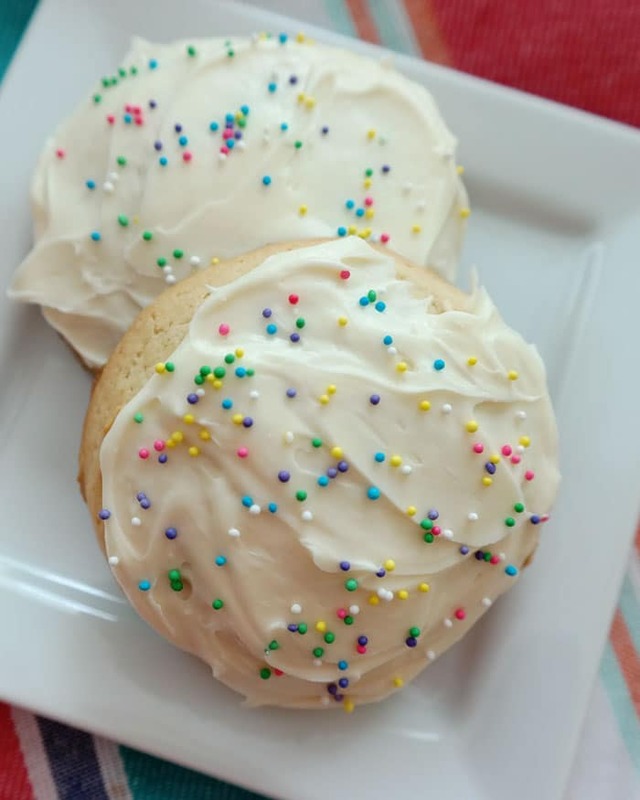 Top with your favorite white buttercream frosting, or the flavor this vanilla cookie with a chocolate fudge frosting would also be amazing! 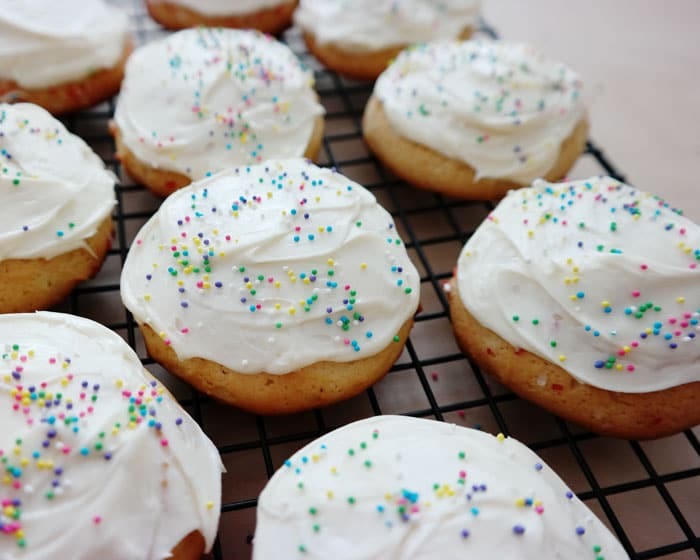 Even plain, with just sprinkles on top, these cake cookies are a must make! mix together eggs and sugar, add shortening and mix again. Add vanilla extract. Combine baking powder with 1/3 cup buttermilk. 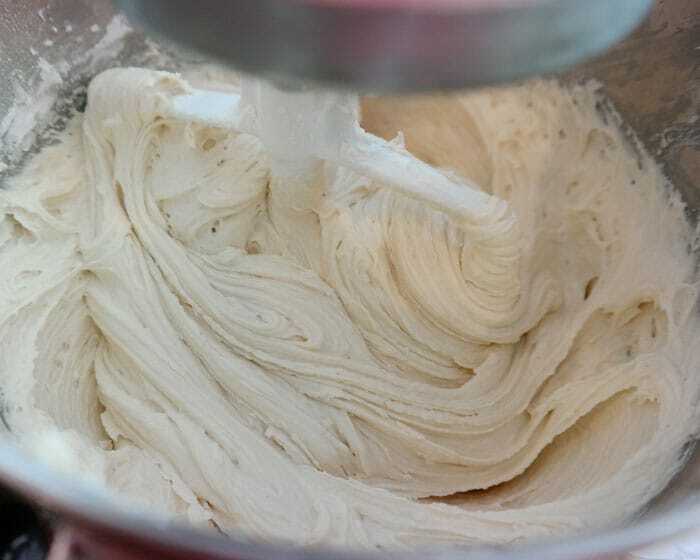 Add regular buttermilk and flour to batter, alternating, just until combined. Add in baking powder buttermilk and beat again. 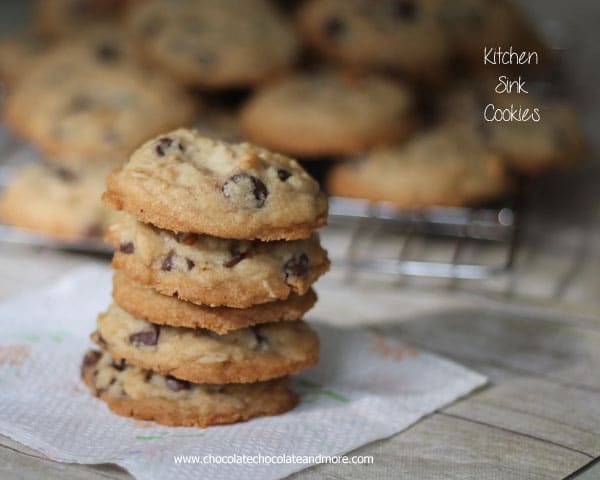 Using a large cookie scoop, spoon batter onto a greased baking sheet, 2 inches apart. Bake in a preheated 425 degree oven for 10-15 minutes, just until bottom edges start to turn golden. Remove from oven and let rest on baking sheet for 5 minutes, before removing to racks to cool completely. I never bake with veg. 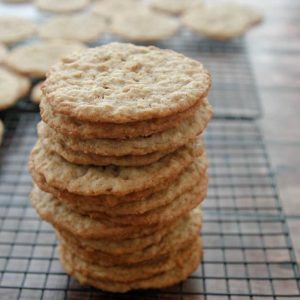 Shortening anymore so plan to use butter for these. That will be fine, right? Yes, the butter should work fine, hope you enjoy! Mmmmm! All I need now is glass of milk. 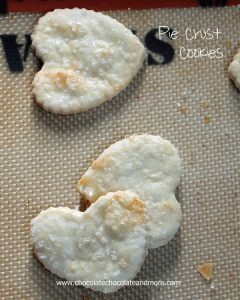 Your cooking sound amazing, I need to make these for my hubby soon! I love a good soft cookie–these look so delicious! I love watching the Seinfeld reruns! They are hilarious and I totally think the best part of the muffin is the top! I think this is a great idea for a cookie! They look so soft and delicious with that frosting! In the instructions you said to cream BUTTER and sugar but in the Ingredients butter is NOT LISTED. Oh I am a sucker for any cookie with sprinkles on it! Made these this weekend and they were a huge hit! Everybody loved them.